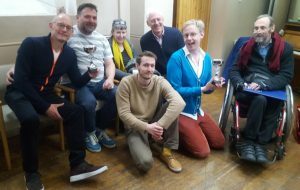 After the Stepney ringers (see photo) regained both trophies in the striking competition, the AGM was held. Welcome LOUISE BOOTH as the new Chair of the Ringing Centre! 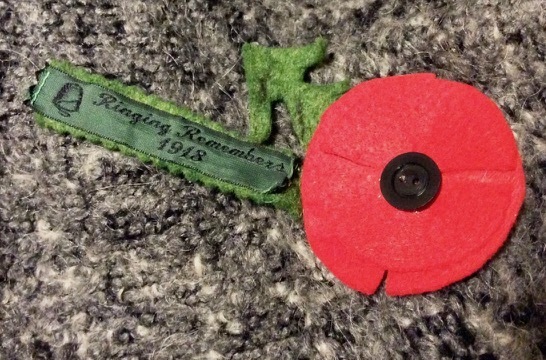 This entry was posted in Events on 26 November 2017 by Morag. 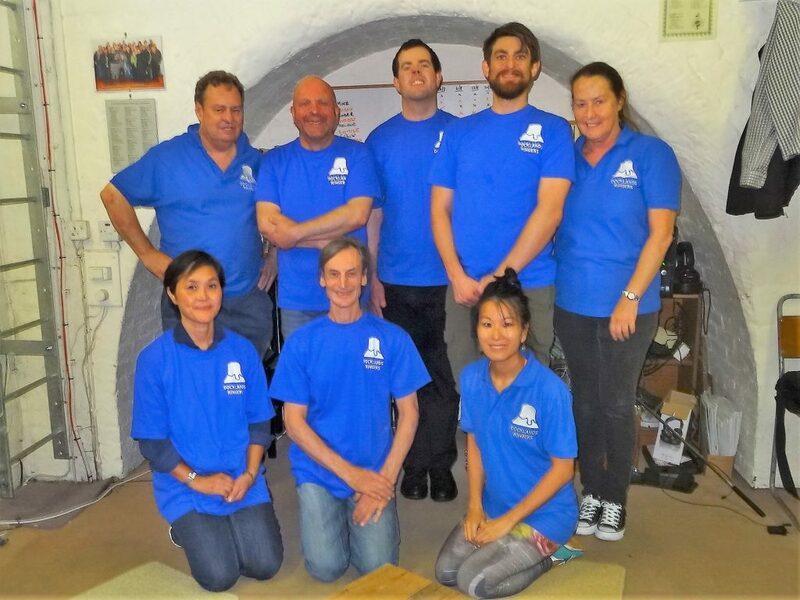 Some of the helpers (l to r) Naoko, Roger, Simon, Emma, Greg, Bo, Piers, Alan, JJ Andrew, Gillian, Lily. 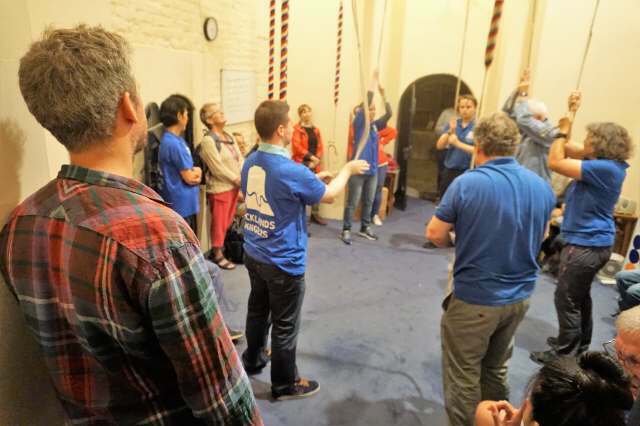 People were queuing before mid-day to come and meet the ringers, see the bells and climb to the top of the tower at St Anne’s Limehouse at the tower open day on Sunday 10th September. 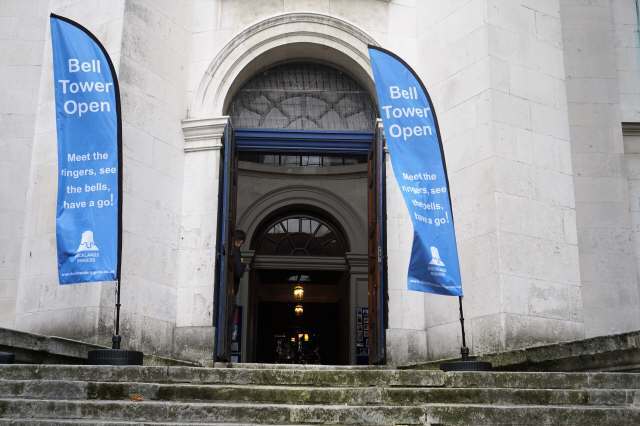 Advertised on the Canary Wharf and Isle of Dogs Facebook Page and the Heritage Open Days website, and with a parish fun-day going on in the churchyard, we must have had over 120 members of the public come up the tower. 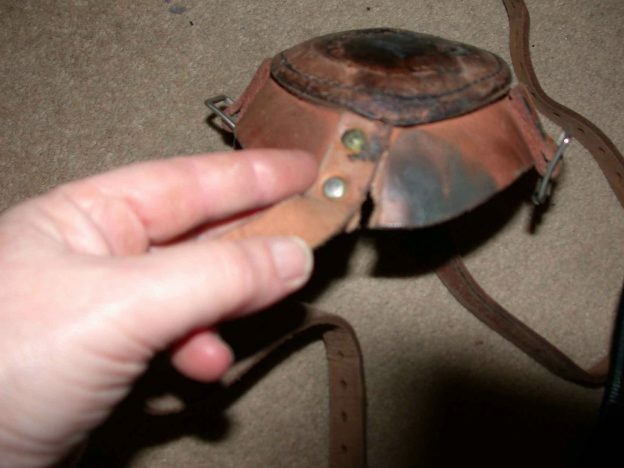 At times, particularly in the first three hours, it was very hectic. 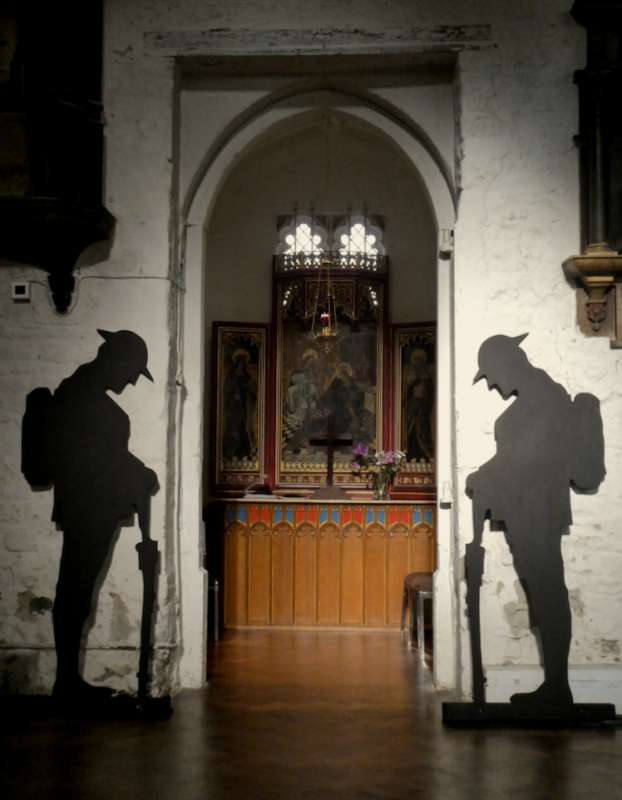 There were almost too many people and the Rector and Churchwardens were very pleased and impressed with the response. 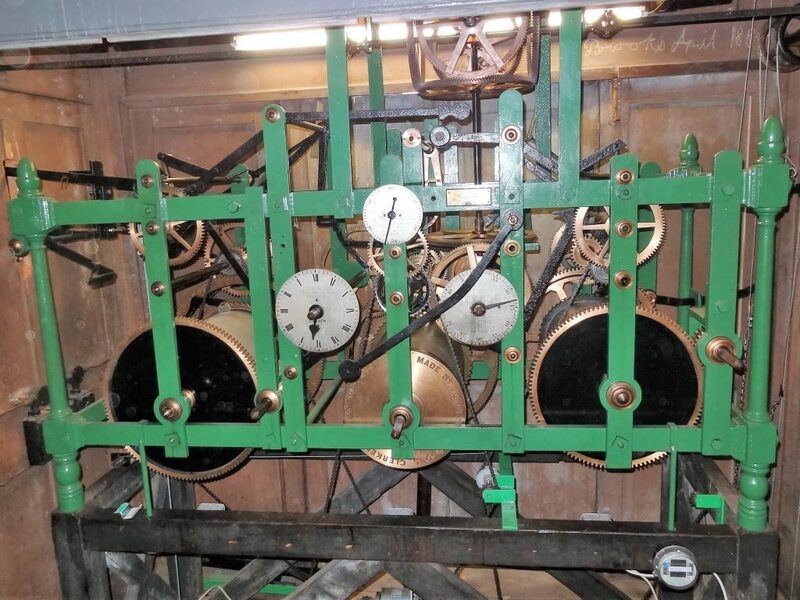 We were able to demonstrate the bells being rung, ringing some rounds and a few call changes on 6, 8 or 10 bells every 20 minutes or so. 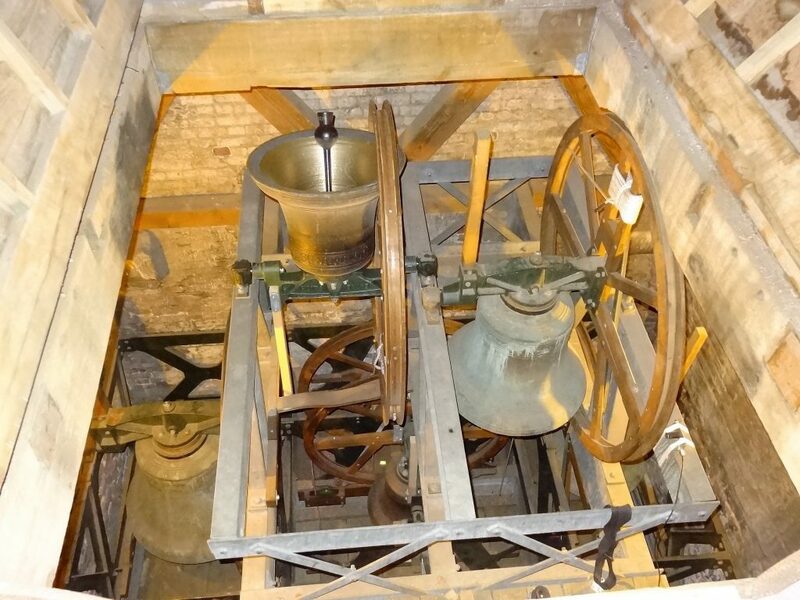 We then took people up to the top of the tower, past the bells and clock, where they could admire the view and listen to a brief talk about the history of the building. 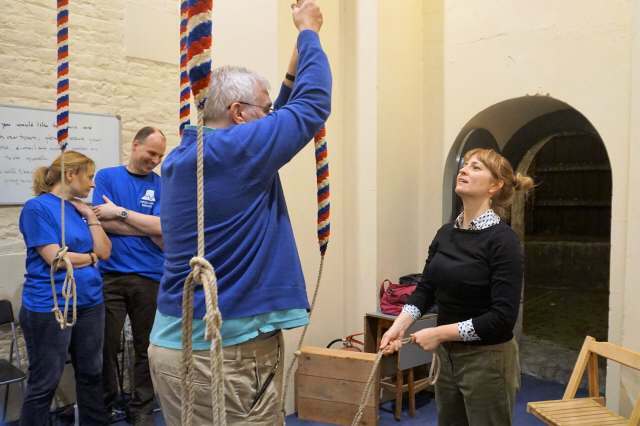 On the way down, they were invited to have a go and talk to the ringers, whilst the next group went up. 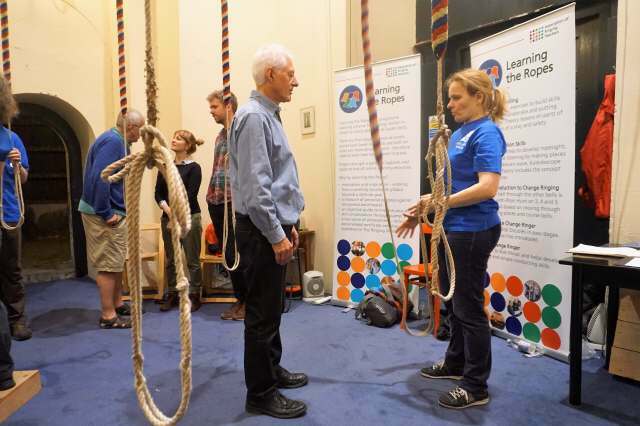 It was particularly pleasing that some of our newer ringers, who have only been ringing for a few months (even weeks) were able to take part and talk to members of the public about Learning the Ropes. As a result of this event, we have several people’s contact details to follow up. 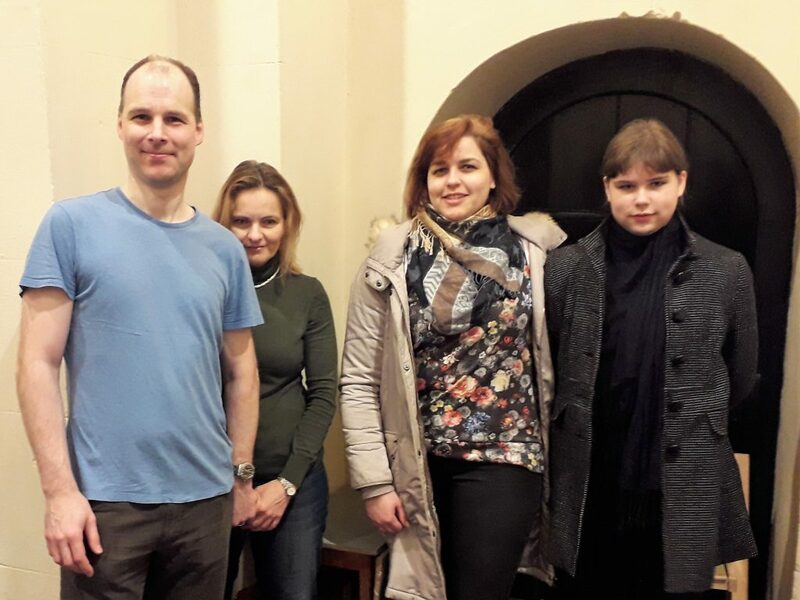 With the other new ringers that we have at Greenwich, Isle of Dogs and Bermondsey, we are going to be busy teaching them to handle over the next few weeks, and hopefully they will be ringing rounds at practices and on Sundays by October. 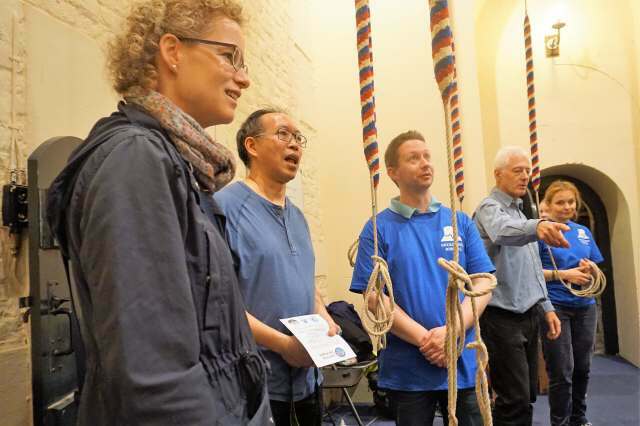 This entry was posted in Events, News and tagged bellringing, docklands ringing centre, Isle of Dogs, learn to ring, Learning the Ropes, Limehouse, New ringers, recruitment on 11 September 2017 by Roger. Rear (L to R): Roger Booth, Paul Harding, Edward Gormley, Matt Amos, Trisha Shannon. Front: Naoko Nakatani, David Connearn, Lily Tang. On Saturday 22 July, the Parish of Bermondsey held a Community Fun Day in aid of restoring the ‘Joy Slide’ which once sat in the Churchyard. 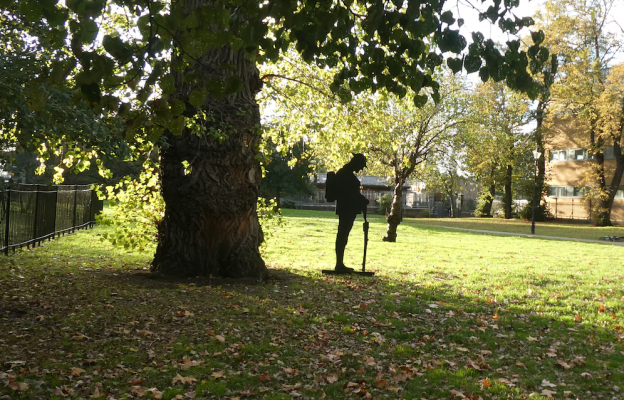 The old wooden slide, which was built in 1921 and brought delight to generations of Bermondsey children, was donated by Arthur Carr, Chairman of Peak Freans, whose biscuit factory stood close by. 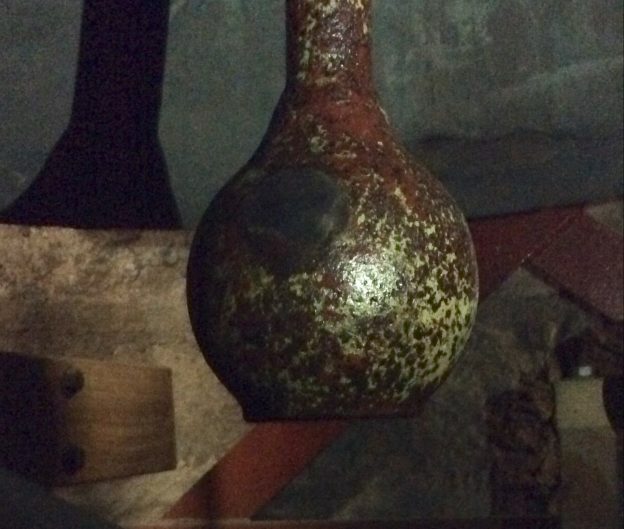 The old slide was damaged by fire and removed shortly after we installed the new bells, 25 years ago. There were various attractions in the churchyard including a bouncy castle, helter skelter and a barbecue. 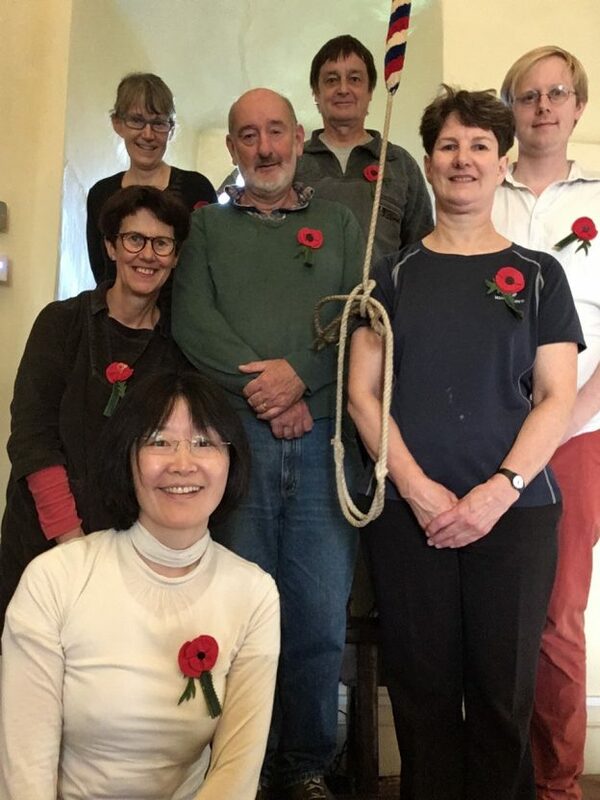 As one of the attractions, during the afternoon we invited local people to come up the tower and meet the ringers, watch the bells being rung and climb the new ladder to the viewing platform above the bells. 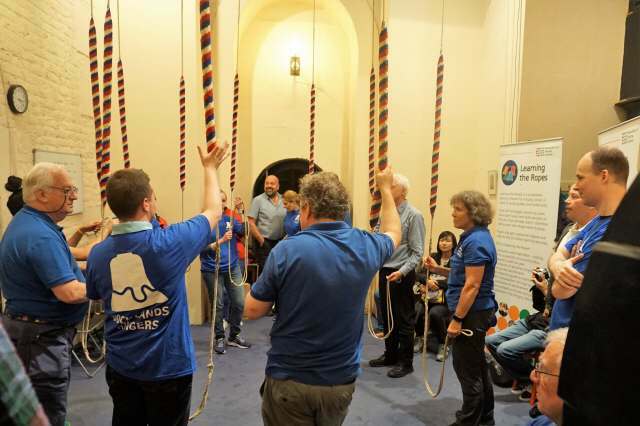 Our aim was to raise awareness of the bells and the ringers within the local community and the church family, and to recruit some new people into the local band. 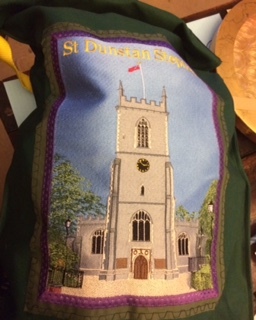 With help from our friends from Greenwich, Lewisham and Waterloo, and with all the ringers wearing their smart Docklands Ringers polo shirts, and giving everyone a warm welcome, we certainly helped give the right impression. 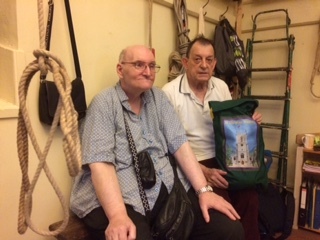 We must have showed at least 60 people up the tower and given most of them a go at ringing a few backstrokes, even a large group of schoolchildren. We also have three people who have left their contact details, and there may be a couple more who have also promised to come along early next Tuesday evening for a lesson. We were also able to publicise the event in local social media, and have attracted a significant number of ‘likes’. 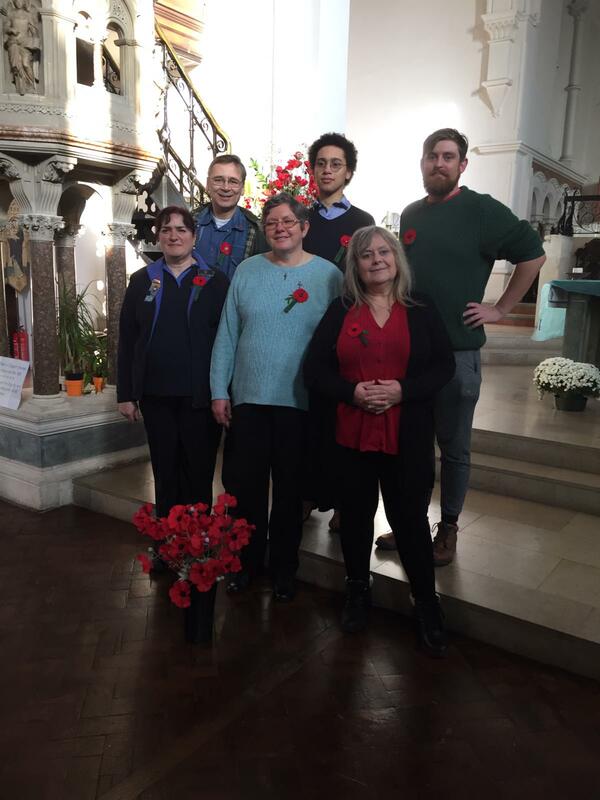 The Vicar and Churchwardens were very pleased and it was very good PR for the ringers. All in all a very worthwhile exercise. 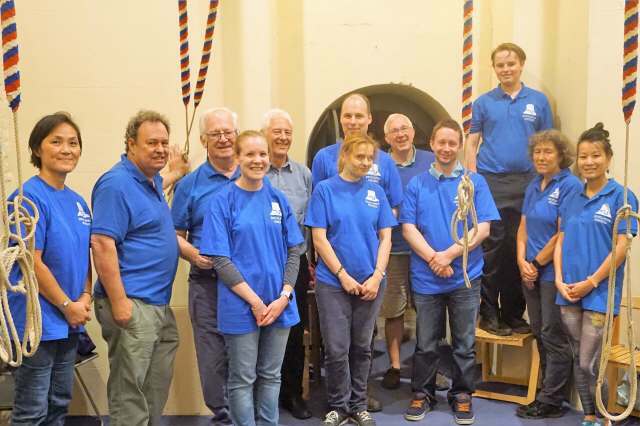 This entry was posted in Events, News and tagged bellringing, Bermondsey, docklands ringing centre, New ringers, recruitment on 23 July 2017 by Roger.